RelAltTab is an enhanced ALT+TAB prototype that assists users in switching windows. RelAltTab uses semantic and temporal information to create a list of related windows to the window that the user is currently engaged in. The main assumption is that the user is more likely to switch to a related window than to any other window in the system. We propose two different user interfaces that present the related window list to the user. 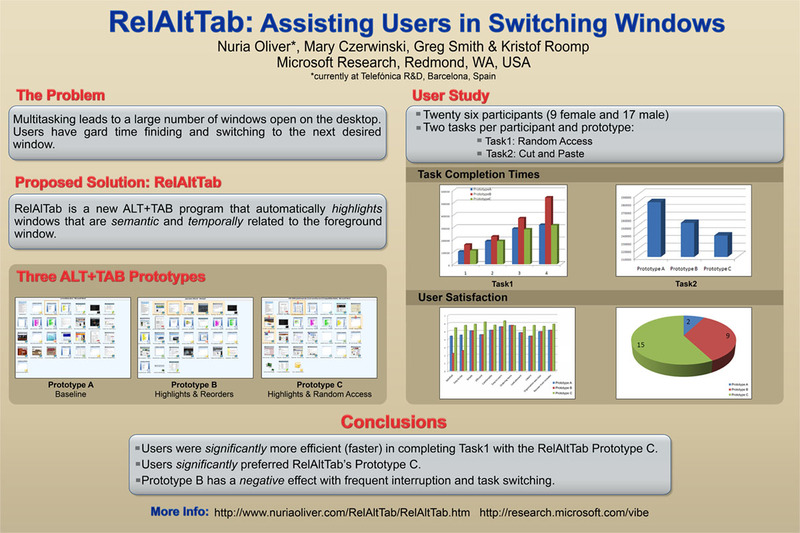 We have carried out one user study with 26 users, comparing our approach to the standard Windows ALT+TAB program.